United Way of Chester County and the Chester County Food Bank are teaming up again this year for the second annual Community PB&J For United Way Drive. Last year’s friendly competition between competing groups helped raise over 2.5 tons of needed peanut butter and jelly items for local food pantries. 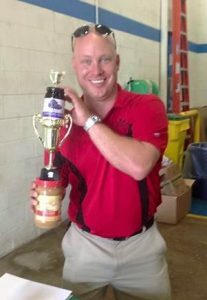 The Matt Gorham Team of Keller Williams (Pictured) reigned as the 2015 PB&J King, singlehandedly donating 694 pounds of PB&J to the cause. The drive runs through Friday, June 3rd when donations are to be dropped off at the Chester County Food Bank. United Way of Chester County is sticking to its commitment of raising awareness and donations for the second annual Peanut Butter and Jelly Drive benefitting the Chester County Food Bank going on through June 3rd. The shared mission between the partnering non-profits helps expand their reach during summer months when food pantry supplies are low. Peanut butter and jelly is selected as the food of choice because of its mass appeal, grab and go versatility, and nutritious-packed protein, vitamins and minerals. Donations should be dropped off at the Chester County Food Bank on Friday, June 3rd between 11:30 AM-1:30 PM at 650 Pennsylvania Avenue in Exton (Eagleview Corporate Center.) Stick around for an official weigh in of your total pounds collected and find out if you’re the leading team in donations. The Matt Gorham Team of Keller Williams reign as the 2015 PB&J King, singlehandedly donating 694 pounds of PB&J to the cause. A complimentary lunch will be served while you wait for your results with a variety of PB&J “gourmet” sandwiches. Tours of the Chester County Food Bank are also available. 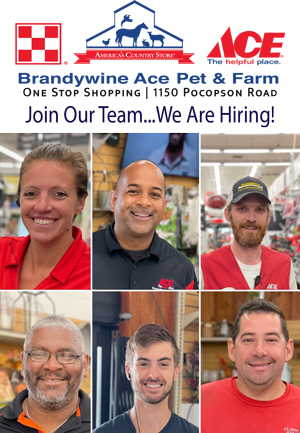 For more information or questions please contact: Anne Shuniak at ashuniak@chestercountyfoodbank.org or Chris Saello at chris.saello@unitedwaychestercounty.org.